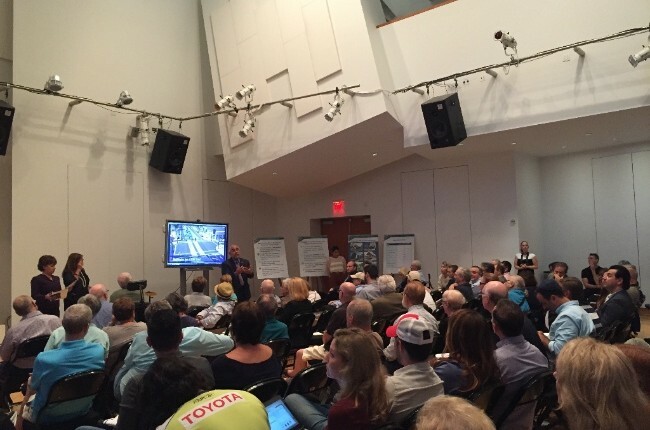 Public input won the day with regard to the City’s light rail proposal. After opposition from neighborhood groups and individuals at several public meetings, the City Commission will press pause on the initiative and let Miami-Dade County determine first if it will build a connector – Baylink – between the mainland and the Beach. The fear of an expensive “train to nowhere” if a connector was not built was a key factor behind the outcry and, eventually, was one of the considerations that led Commission Michael Grieco to pull his support. After initially affirming his plan to move forward, Mayor Philip Levine filed a resolution that “suspends our current course of action to ensure that our city taxpayers do not bear the cost of a smart rail system in Miami Beach alone and that we ensure full connectivity with the City of Miami.” The resolution, to be considered at the Commission’s meeting next week, delays further action by the City until the Miami-Dade Board of County Commissioners approves and commits to Baylink and would require approval of any final comprehensive agreement for Baylink by a majority of Miami Beach voters voting in a City-wide referendum.